The Joint Admissions and Matriculation Board (JAMB) has released the results of the 2012 UTME, revealing that only 3 candidates scored above 300. The JAMB Registrar Prof. Dibu Ojerinde made this known at a news conference in Abuja on Thursday, and also revealed that the results of 27, 266 candidates out of the 1,053,931 which were registered were withheld. He listed Abia, Benue, Cross River, Delta, Imo, Lagos, Nasarawa and Rivers as the affected states and stated that the results were not released due to examination malpractices. He went on to say that some supervisors had extorted money from candidates. “In 2012 UTME, we had some disturbing news of extortion of money from innocent candidates by greedy proprietors and supervisors all these persons will be brought to book,” he said. 44.8 percent of registered candidates scored above 200, with 901 candidates scoring between 270 – 299, 71,339 candidates scoring between 250 – 269 and 601,151 candidates scoring between 200 – 249. 4 subjects. use of english and an extra 3… mine were phychembio… memories, may God bless them into good education and good futures. 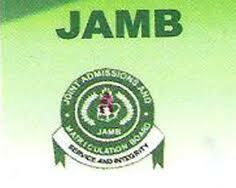 why is some of the Jamb result not release till now?